Anton Piller Orders | Search Orders - AGP & Co, A.G. Paphitis & Co: Cyprus Lawyers, Cyprus Law Firm. Our Litigation Team has the expertise and the experience to advise on the most appropriate interim actions to take, depending on the specifics of each case and its' objectives, in order to protect our clients' best interests. What is an Anton Piller Order also known as Search Order? It is a court order which requires the defendant to give access to the plaintiff or to his/her legal representatives to the defendant’s premises in order to obtain evidence that might be essential to the plaintiff’s case. 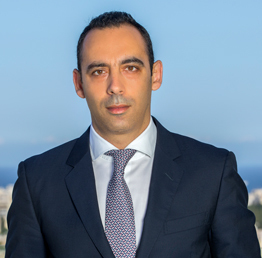 Cyprus Courts have jurisdiction to issue interim search orders requiring a party to admit another party to premises for the purpose of preserving evidence, or property relating to any matters that may arise during the proceedings. To discover and preserve evidence against the defendant which is in the possession of the defendant and it is likely to be concealed or destroyed. To prevent the defendant from warning others to destroy or conceal evidence. To reveal further damage to the applicant. “There must be an extremely strong prima facie case.The damage, potential or actual, must be very serious for the applicant.There must be clear evidence that the defendants have in their possession incriminating documents or things.There is a real possibility that they may destroy such material before any application inter partes can be made”. For further information on our practice and experience in obtaining interim orders, please refer to the Interim Orders section of this website. For legal advice on the procedure, please get in touch with our litigation lawyers.